The boy and I have a long Silicon Valley commute and plan to have coffee on the way so on the weekend I bought myself a Keurig Platinum brewing system. It occurred to me that a post about my coffee machines is about due. Sadly we had to leave our beloved Sunbeam Cafe Series Espresso machine in Australia due to incompatible power but it was a work horse that saw a lot of coffee in its time. For a mid priced machine and those looking for a consumer model rather than an Italian beast with incomprehensible knobs then I would recommend it. This is the Keurig machine I bought on the weekend; it is designed to have pre-purchased espresso pods (K Cups) inserted and short or long espresso made to order. This is no fuss no thinking programmable espresso, just perfect for a household lacking in morning people. The standard store cups are variably weak as Americans seem to like their coffee but this rig comes with a My K-Cup assembly designed to fill and tamp with your own grind. Eventually we will get a full sized manual espresso machine with milk wand but this baby is still charming as an interim. 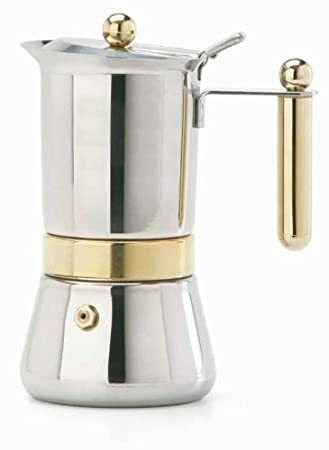 Most coffee I make however is made with a cafetera moka because I grew up with stove top espresso and slightly manic Basque relatives who liked their coffee thick, strong and preferably with a cognac (sound familiar?). If you like long coffee rather than short ristretto or similar then I highly recommend cafetera coffee since it delivers strong espresso type coffee with no requirement for electricity and has a much better homogenisation of the coffee than a shot of espresso and hot water do. Cafeteras require a little care but are lifelong friends if handled correctly - make sure to clean the machine after every use and replace the rubber seals regularly. Traditional Moka pots are made from aluminium that can degrade over time - if affordable buy a stainless steel model. When we're travelling domestically or working in an environment without an espresso machine I tend to take a bag of freshly ground coffee from home and a coffee plunger (or "French Press" as the Americans would have you call it). Again this means a no electricity no fuss way to make coffee and is fairly convenient to rinse in hotel or office sinks. The glass eventually cracks on these machines particularly if you vary the temperature too quickly (eg. wait to cool before refrigerating or washing). A good plunger should last 2-3 years and is a bargain at around $20. Great for share housing! I also own a traditional Turkish Coffee pot for those special occasions. You can buy these at your local ethnic grocers and Middle Eastern kitchen supply stores for a steal. I even have a recipe for Turkish coffee if you've recently purchased one of these pots and need some assistance. Because I use mostly stove top espresso I tend to prefer a burr coffee grinder with a catcher rather than a dosing espresso grinder. I am in love with our current Krups model which has easy to use grind settings and a no mess catcher as well as being a good size for a cramped San Francisco kitchen. Anything pumpkin from Sept 1 on is fair game! :) And we delonghi esam3300 problems love all sorts of treats: eclairs, cookies, sweet rolls, brownies, you name it!